Pais A, Subtleis the Lord. Oxford: Oxford University Press, 1982. Isaacson W. Einstein:His Life and Universe. New York: Simon & Schuster, 2007. Einstein A.The fieldequations of gravity [J]. Sitzungsber. K. Preuss. Akad. Wiss., 1915, (2): 844-847. 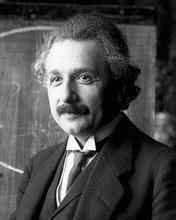 Einstein A. Approximateintegration of field equations of gravitation [J]. Sitzungsber. K. Preuss. Akad. Wiss., 1916,(1): 688-696. Einstein A. Concerning gravitational waves [J]. Sitzungsber. K. Preuss. Akad. Wiss., 1918 (1):154-167. Collaboration). Observationof Gravitational Waves from a Binary Black Hole Merger [J]. Phys. Rev. Lett., 2016,116: 061102. Berti E. TheFirst Sounds of Merging Black Holes [J]. Physics, 2016, 9: 17. Kennefick D. Einsteinversus Physical Review. Physics Today, 2005 58 (9): 43-48. 作者后来将这篇文章的内容收进他的书Traveling at thespeed of thought, Princeton University, Princeton: Princeton University Press,2007. 刘寄星. 爱因斯坦和同行审稿制度的一次冲突 [J]. 物理, 2005, 34 (7) : 487-490. Einstein A, RosenN. On gravitational waves [J]. J. Franklin Institute, 1937, 223: 43-54. Einstein A, PodolskyB, Rosen N.Canquantum-mechanical description of physical reality be considered complete? [J].Phys. Rev. 1935, 47: 777-780. Einstein A, Rosen N. Theparticle problem in the general theory of relativity [J]. Phys. Rev., 1935, 48:73-77. Einstein A. Cosmologicalobservations on the general theory of relativity [J]. Sitzungsber. K. Preuss.Akad. Wiss., 1917 (1): 142-152. G. Gamow, MyWorldline, New York: Viking, 1977.